I am to run 1.5 miles in 15:00 minutes (or faster) for the Police Academy. How do I start training for this? I try to run two mile a day but have never timed myself. Thanks for your question about running the 1.5 mile police academy test. Make 1-2 of your weekly runs longer, but slower, i.e. try to go 2.5, 3 or 4 miles but run at a slower pace or take a short walking break in between. Make 1-2 of your weekly runs faster, e.g. alternate 1 minute fast running with 3 minutes of slow running. The slower running helps to build your aerobic capacity (stamina/endurance) while the faster running will help you build your speed. 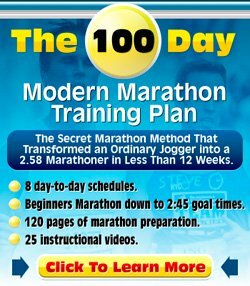 If you really want a step-by-step workout-by-workout plan, then I'd advise you to have a look at my Best Running Coach website. I offer an in-depth assessment of your current fitness, strengths and weaknesses and create a running program to get you well prepared for your 1.5 mile police academy test. It could be a useful service to you as this test is obviously important for your career.